When you think of decorating for a party, you may consider helium-filled balloons as a necessity. However, some San Diego-area stores are reporting a shortage in the supply of helium and that could burst your creative bubble. Local business owner Robert Costantino calls himself the "Balloon Guru." While he admits there has been a disruption of helium for some local businesses, his store has ample supply. “I think it will be a temporary issue but the timing is unfortunate," Costantino said. Party supply stores across the U.S. may be hanging signs saying "out of helium" just weeks before the New Year. While most people associate helium with party balloons, the natural gas is used in the medical field in things like MRI machines. So, when there’s a shortage, distributors give the medical field the priority over balloons. The federal government’s Bureau of Land Management or BLM operates the nation’s Helium Program. It used to provide 40 percent of the helium in the U.S., but after its last auction in July, it is no longer selling helium to private companies. 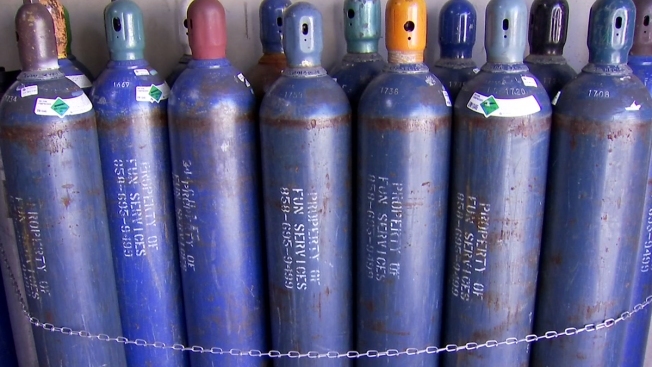 Joseph Peterson, BLM’s assistant field manager, told NBC Miami that “global economic uncertainty” is preventing helium from getting here as fast as it’s needed. Costantino said there are alternate ways to use balloons in your decorations including arches, columns or lettering. You could opt to go with balloons but be warned. "You can celebrate without balloons but you wouldn’t be invited to any of my parties," Costantino said.